There are more than 250 hospitals in the state of Florida. The top mental health hospitals in Florida all have one thing in common. They can help you or your loved one feel better. If you or someone you love is struggling with mental health issues, know that help is out there. An important step in the process is finding the best facility. We’re here to help. There are several things to consider when selecting the best mental health hospital. First, choose the facility with licensed staff members who are fully trained in providing patient-centric care. Secondly, take a look at the programs and services offered. Important programs include: crisis care services, dual diagnosis programs, detoxification and substance abuse programs, partial hospitalization programs (PHP) and family behavioral health services. Lastly, look at the facility and other activities, such as food and nutrition counseling, fitness and meditation programs. Clinical Psychologist – A psychologist with a doctoral degree in psychology from an accredited program. Psychologists make diagnoses and also provide individual and group therapy. Clinical Social Worker – A professional counselor with a masters degree in social work from an accredited graduate program. They are trained to make diagnoses, provide individual and group counseling and provide patient case management and advocacy. Licensed Professional Counselor – A counselor with a masters degree in psychology, counseling or another related field. They are trained to diagnose as well as provide individual and group counseling. Mental Health Counselor – A professional counselor with a masters degree and many years of clinical work experience. Mental health counselors are trained to diagnose and provide both individual and group counseling. Certified Alcohol and Drug Abuse Counselor – A professional counselor with specific clinical alcohol and drug abuse training. These professionals are trained to diagnose and provide individual and group counseling. Nurse Psychotherapist – A registered nurse who is trained in psychiatric and mental health nursing. Nurse psychotherapists are trained to diagnose and provide individual and group counseling. Marital and Family Therapist – A counselor with a masters degree and specialized education and training in marital and family therapy. These counselors are trained to diagnose and provide individual and group counseling. Pastoral Counselor – A clergy member with training in clinical pastoral education. Some hospitals provide faith-based rehab programs or mental health counseling. These professionals are trained to diagnose and provide individual and group counseling. Peer Specialist – A counselor with lived experience with mental health or substance abuse. After undergoing several hours of special training, these professionals work to support people going through recovery. Psychiatrist – A medical doctor with training in the diagnosis and treatment of mental health illnesses. They can prescribe medications, and often do not provide counseling or therapy. Psychiatric or Mental Health Nurse Practitioner – A registered nurse practitioner with a graduate degree and specialized training in the diagnosis and treatment of mental health issues. Adult Psychiatric Program – Treatment for people working through medical, emotional and psychiatric issues. Crisis Care Services – Care for patients in acute crisis who need immediate assistance. 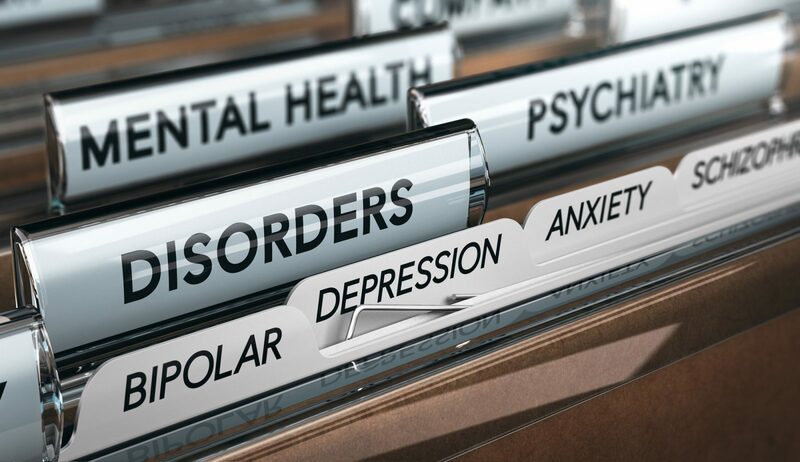 Dual Diagnosis Program – An inpatient program designed to help people who suffer from drug and/or alcohol abuse issues as well as a co-occurring psychiatric illness. Partial Hospitalization Program – A treatment program that takes place in an outpatient setting, designed to help people work through medical, emotional and psychiatric issues. This can be in the form of post-treatment after inpatient hospitalization, or in lieu of an inpatient program. Family Behavioral Health Services – Group and one-on-one therapy sessions that help families work through familial situations as they arise. Alcohol Addiction Treatment – Detoxification and recovery treatment program for alcoholism. Drug Addiction Treatment – Detoxification and recovery program for drug addiction. Prescription Addiction Treatment – Detoxification and recovery program for prescription addition, such as opioid addiction. Finally, be sure to check out the facilities. Are they new and clean? What do the rooms and dining area look like? Is it in a peaceful location that can help with the recovery process? If you or a loved one is ready to start your path to recovery, The Blackberry Center can help. We offer well-trained staff members and top psychiatric and recovery programs, all housed in our brand new facility. Contact us to learn more.